Vote now for the 2017 Impact Award finalists! The finalists have been selected by a panel of judges from a pool of nominations made by members of the nonprofit community. Now, you will choose the winner by voting for the campaign of your choice! 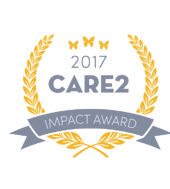 The campaign with the most votes will win the Impact Award and $1,000 and the runners up will win the Innovator Award and $200 each. Voting will close at midnight on March 4, 2017. The Act for Peace Ration Challenge is on online based peer-to-peer fundraising campaign aimed at raising vital funds and awareness for refugees around the world- showing we’re with them, not against them. Individuals are challenged to eat exactly the same rations as a Syrian refugee living in a refugee camp in Jordan and get sponsored to do so. Participants are recruited through Digital Advertising and Marketing, are set up with their own personalised fundraising page and are taken on a 1-3 month engaging online supporter journey encouraging them to fundraise and advocate for the cause. The success of the Ration Challenge can be primarily attributed to a highly tested and optimised online strategy. Our strategy was based on the most effective digital trends, industry best practise and detailed benchmarking against other events. The Ration Challenge has raised more than $2.6 million for refugees around the world since its public launch in 2015. 10,400 people have participated in the challenge, receiving sponsorship from more than 50,000 members of their communities. The challenge has engaged 1.4 million Australians online and empowered individuals to advocate for refugee issues across their personal social media pages. It is the only peer-to-peer fundraising campaign in the world that focusses primarily on the issue of refugees and empowers individuals to both fundraise and advocate for the issues online. The challenge is an extremely transformative experience and as such encourages participants to remain highly engaged online during the campaign period, sharing their experiences online, promoting the cause and advocating for change. The challenge has pushed the boundaries of digital advertising for NGOs, focusing more than 90% of the campaign budget on Facebook advertising and engagement and setting industry standards for highly customised, engaging and optimised online journeys for participants. LGBT Ugandans face some of the world’s worst hate crimes and discrimination. Remarkably, they bravely stand together in defiance at an annual Pride event. However, this summer, Pride Uganda struggled to gather the needed funds to host the event. Over 2,500 All Out members chipped in and raised enough money to fully fund the weeklong event. However, during the celebration, police violently raided a Pride beauty pageant. People were beaten, sexually assaulted, and humiliated. One young man was so afraid, he jumped from a 4th floor window and was taken to hospital in critical condition. Directly following this horrific event, Reverend Simon Lokodo, Uganda's Minister of Ethics and Integrity, threatened to incite mob violence against participants planning to attend the main Pride Parade that weekend. Many were afraid for their lives, unable to use their phones and email freely and in need of immediate help renting safe houses outside the city so they could avoid arrest or attack. In the aftermath of this violent attack, All Out launched a second rapid response fundraiser to cover our Ugandan partners’ immediate medical and safety costs. In just 24 hours, our members met our fundraising goal of $17,900. There's still a long way to go before equality is achieved in Uganda. We'll stand side by side with our partners there until they win. In the spring of 2015, before the campaign launched, Bernie was polling around 3 percent, had no establishment support, little name recognition and was running against a popular and “inevitable” Democratic primary opponent. With no offline fundraising team, no Super PAC, and no Wall Street money, Bernie would have to raise almost all of the campaign’s money from small-dollar donations. Bernie's online agency, Revolution Messaging, had just 72 hours to create a digital and branding strategy for the campaign launch, including a website, email and fundraising program and digital advertising strategy. Within just 24 hours of Bernie‘s announcement, they raised over $1.5 million. More than 100,000 people signed up to join the campaign and 35,000 of those people made donations. The campaign raised $218 million online, almost exclusively from small-dollar donors giving an average of $27 at a time. The campaign focused heavily on video for engagement. The embedded video team created more than 550 unique videos for the campaign. By June 2016, Sanders’ 557 videos had reached over 42 million views on Facebook alone. The Sanders campaign spent more on digital advertising than all federal races combined in 2008. The campaign raised more than $61 million and acquired more than three million email addresses from digital ads. Bernie 2016 launched a mobile program. The first large event was Bernie’s Organizing Kickoff, where more than 3,000 house parties and more than 100,000 attendees across the country tuned in to a livestream in which the digital organizing director told everyone to text WORK to 82623 to join an organizing team and volunteer. Within a few hours almost half of the attendees of the house parties had joined the Bernie 2016 mobile list. Throughout the campaign, the average monthly list growth was 77 percent with significant spikes during pushes for voter outreach. 42% of all donations came via mobile. Greyhound advocates documented the cruelty of dog racing in Arizona, showing that a greyhound was injured every 2-3 days at Tucson Greyhound Park. Dogs suffered broken legs, broken necks, paralysis, heat stroke and more. A dog was even electrocuted! Many dogs died from their injuries, others were simply destroyed when their usefulness ended. Working with media and lawmakers alike, GREY2K USA passed a prohibition on dog racing statewide in May 2016. The legislation was approved unanimously and signed by Goveror Doug Ducey, who expressed his happiness that greyhounds would finally get the second chance they deserved. Arizona became the 40th state to prohibit dog racing and hundreds of dogs were released from Tucson Greyhound Park into loving homes. The mission of the Safe Routes to School National Partnership is to advance safe walking and bicycling to and from schools, to improve the health and well-being of kids of all races, income levels and abilities and to foster the creation of healthy communities for everyone. We offer depth of expertise, a national support network, and know-how to help make communities and schools safer, healthier, and more active. The Safe Routes to School National Partnership invited partners and advocates to join a conversation on Twitter to discuss the opportunities and challenges to advancing walking and bicycling and work to increase health, fairness, and opportunity for low-income communities and communities of color. This initiative was developed out of the need for a platform to bring organizations, professionals, and passionate individuals together to discuss equity and active transportation. Equity and active transportation is so much more than fact sheets and reports. The #MoveEquity Tweetchat provided an opportunity for people to share, converse, and explore impact on communities. It filled a major need. That’s almost 1 million people reached per #MoveEquity Tweetchat and over 6 million people impacted per #MoveEquity Tweetchat.